As soon as the umbilical cord has been cut, the kitten, cleaned up by its mother, then crawls to one of her teats, guided by the warmth and smell. The kittens’ first feeds do not give milk at first, but colostrum. This liquid whose aspect and composition differ from that of milk contains the numerous antibodies which are essential to ensure good first immune defences. Sucking and sleeping together with the contact of his/her mother and of his/her siblings are the kitten’s only activities during these very first days. Completely dependent upon its mother, a kittens struggle for life has already begun as he/she tries to appropriate the best possible teat. Being blind and deaf, the most developed sense is smell (olfaction) and touch. The kittens’ sense of hearing is functional as early as the 5th day of age. Between 7 and 15 days of age the eyes finally open. 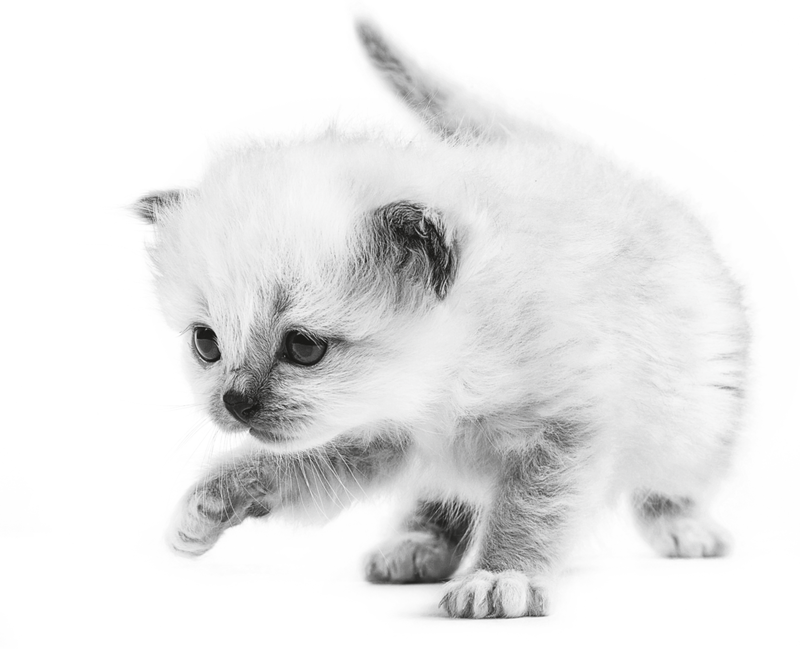 Around the 17th day of age, the kitten can be seen learning to walk on four legs. 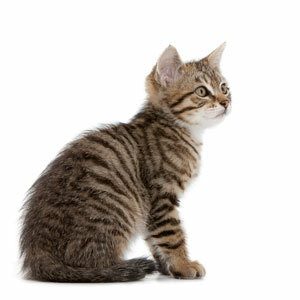 At 1 month of age, most kittens are able to orientate themselves by sounds, lights and smells.